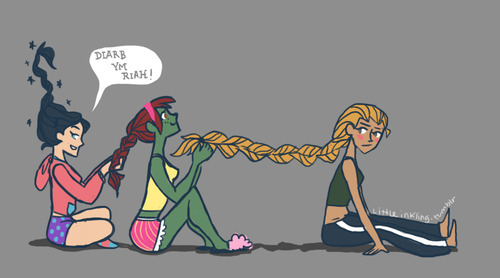 braiding hair. . Wallpaper and background images in the Young Justice club. Can't M'gann just morph her hair?